Sigma Beauty Affiliate Program: Paris Palette SALE! 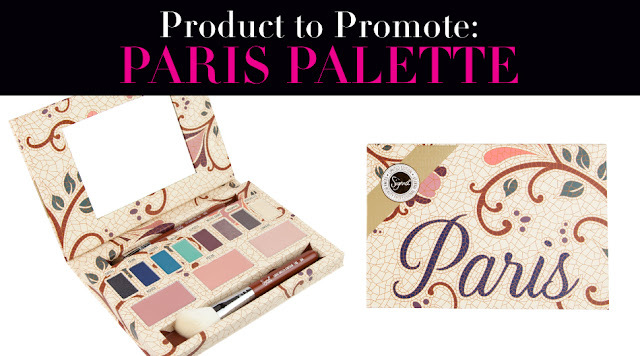 Today we are going to feature a Sigma sale item, the Paris Palette! This unique palette was created by seven YouTube beauty experts (read more here) and is a limited edition Sigma product. Get a closer look at the Paris Palette here! Product Description: The Paris Palette includes eight eye shadows influenced by landmark monuments and locations in Paris. Carefully developed by beauty experts to compliment all skin tones, the palette includes two blush colors and one highlight shade. Two essential Sigma brushes complete the palette: E55 – Eye Shading and F40 – Large Angled Contour. Sale: $10 off! Discounted price of $49, supplies are limited. Product Benefits: The Paris Palette is a limited edition item and a great opportunity to purchase a product created by your favorite YouTube gurus! On sale for only $49, the palette contains 13 high quality components, which retail individually for over $100. Share this incredible value with your followers and watch your sales grow!